Treasure Little Children Foundation recently hosted its Holiday Celebration, the nonprofit’s main event of the year, for 275 local children and their parents. The party featured lunch, games, Santa Claus, a DJ, craft making and much more at Maranatha High School, in line with the foundation’s effort to deepen the commitment to kindness, helpfulness, personal responsibility and respect for others. The foundation was established in 1998 by a group of volunteers dedicated to enriching the lives of those in need, including by donating computers, books, school supplies and more. TLC believes that by donating the tools for education along with the necessities of daily life, it can help in the development of qualities that are essential for productive lives. It relies on regional organizations to identify candidate families with children who need assistance. TLC offers special thanks to Maranatha for the use of its campus. 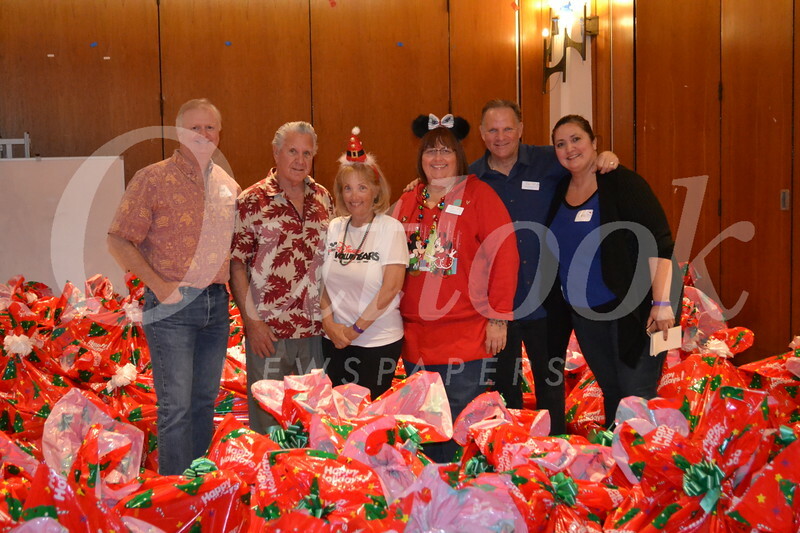 John Cervenka, Jules Marcogliese, Mary Kay Hunefeld, Ginger Mort, Vance Weisbruch and Lupe Barraza helped give presents to families.